A beautiful, talented young singer moves from Texas to California, with dreams of stardom. She meets and falls in love with an influential music producer, who promises to deliver fame and fortune. 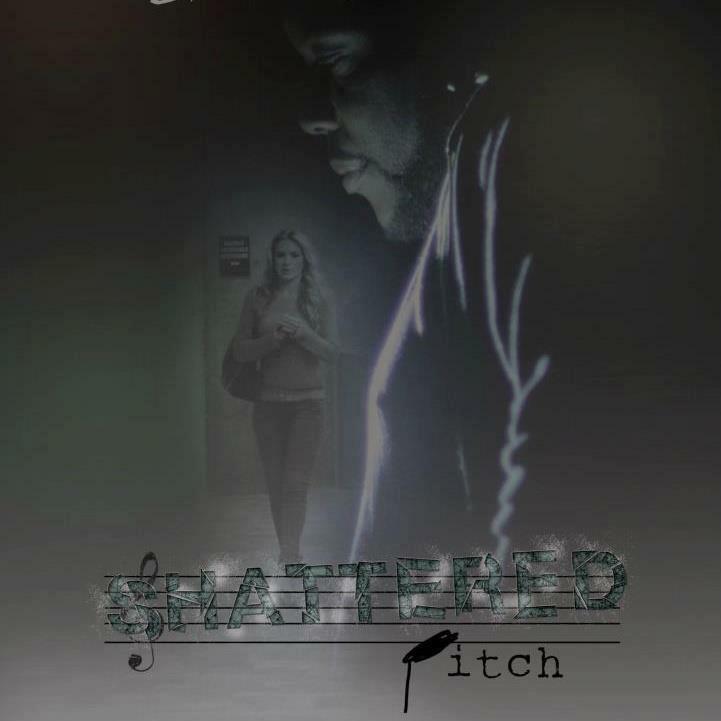 But in Shattered Pitch, a short film by Rafael Soto, the smooth path to happiness soon becomes a rocky road to misery and despair. This 30-minute drama was actually completed in 2012 [I write this in March 2017], but the team has since re-edited it, and is now submitting it to festivals, and exploring distribution opportunities. It tells the story of Bailee (Lyndsay Haldorson), who arrives in Hollywood with the talent and looks to make it big. And when her roommate, Rachel (Dawn Noel – a valued supporter of this blog, and also producer of this film) introduces her to high-flying music producer Sammy (Chad Coleman, from The Wire), Bailee seems to have the world at her feet. She and Sammy fall in love, and move in together. But Sammy’s ‘plans’ start to seem more like ‘control’, and Rachel (the great introducer) now introduces Bailee to hard drugs. What’s more, Rachel – a professional dancer – turns out to be Sammy’s ex, and we discover, she still has the hots for him. From here, we know there’s no way this is going to end well. Shattered Pitch is a powerful tale about the dark side of showbiz – the physical and mental suffering that performers can go through in the struggle for fame. But it’s much more than that, because it’s relatable to people in any walk of life. Experiences and circumstances can turn some into ruthless manipulators and others into vulnerable victims – and not just in Hollywood. Are Sammy and Bailee really in love? Or do they each see the other as a means to get where they want to be? This is an intelligent and thought-provoking tale about hope, ambition, and the fragility of dreams in a complicated world where factors beyond our control can send us in an unexpected and unwanted direction. If you want to know more, check out the trailer. If you haven’t seen it, here’s the 2016 Piece of Pink Pie post about Dawn Noel. And if you’re involved in independent film production, take a look at Weltch Media’s services. Tags: California, Chad Coleman, Dawn Noel, Lyndsay Haldorson, Rafael Soto, Shattered Pitch, Texas, The Wire. Bookmark the permalink.